In Milan one of the world’s capital for design you have the opportunity to attend a 4 weeks summer programme combining Italian language course in the morning with interior or fashion design course in the afternoon. These practical courses are open to participants wishing to get in touch with the world of Italian design and creativity. An elementary knowledge of Italian language is required as the design programmes are held in Italian. The courses are open to participants wishing to get in touch with the world of Italian fashion design. 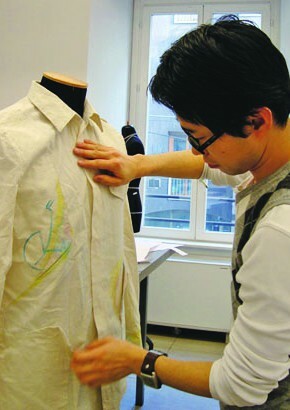 The course provides for an outline of the fundamentals of fashion design, and what is required to formulate ideas and translate them into a coherent visual representation. Students will learn about the creative process and how to conceive a fashion collection. No previous experience in fashion is requested. The course aims to prepare students to plan an interior design project: from initial measurements, to understanding how to furnish interior spaces. Class-time will be a mixture of in-class presentations and practical assignments where students will develop projects and assignments based on lessons given in class. You will be able to learn about trends in contemporary interior design and improve your aesthetic sense and skills in décor. Students will explore the history of Italian Design over the last century. Lessons 20 lessons per week, 4 lessons per day Monday through Friday.